THE UNITED NATIONS has said an 18-year-old Saudi woman who fled her family is a legitimate refugee and has asked Australia to resettle her, Canberra has said. Thailand initially said it would deport her at the request of Saudi embassy officials, barring her from travelling to Australia where Qunun said she had intended to claim asylum. She barricaded herself into an airside hotel room and fought back — live-tweeting her fears of deportation in a campaign that swiftly galvanised international support and prompted a sharp u-turn by Thai officials. Her father and brother arrived in Bangkok yesterday, but Qunun “refused to see” them, according to Thai immigration police chief Surachate Hakparn, who has been caught up in the international firestorm since Qunun’s arrival. He said the family’s patriarch had met with the UNHCR this morning and will return home later today. On Sunday, Qunun told AFP her family was “abusive” and once locked her in a room for six months just for cutting her hair. That makes it “100%” certain she will be killed by her family if she is returned to Saudi, she added. Footage released by Thai immigration shows Abdulilah al-Shouaibi, Saudi embassy charge d’affaires in Bangkok, complaining in a meeting with Surachate yesterday that Qunun’s smartphone should have been confiscated. It would have been better if they had confiscated her mobile instead of her passport. 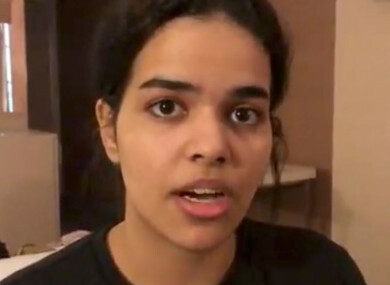 Email “UN says Saudi woman is genuine refugee, asks Australia to resettle her ”. Feedback on “UN says Saudi woman is genuine refugee, asks Australia to resettle her ”.